It’s official. The Rowing Marine, Lee Spencer, has passed the halfway point in his trans-Atlantic solo row. Lee is on a personal mission to challenge the perceptions around disabilities as he looks to become the world’s first physically disabled person to row solo and unsupported from mainland Europe to mainland America for a new Guinness World Record, after leaving from Portimao, Portugal on January 9th 2019. Lee is making excellent progress in his record-breaking attempt, despite having to make a pit-stop in Las Palmas due to technical issues with his navigation system. Lee has been tweeting his progress live from the boat. Followers can also track Lee's progress live, with a tracker at LeeSpencer.co.uk. During his row, Lee has received some epic good luck messages which have given him huge encouragement throughout the row. 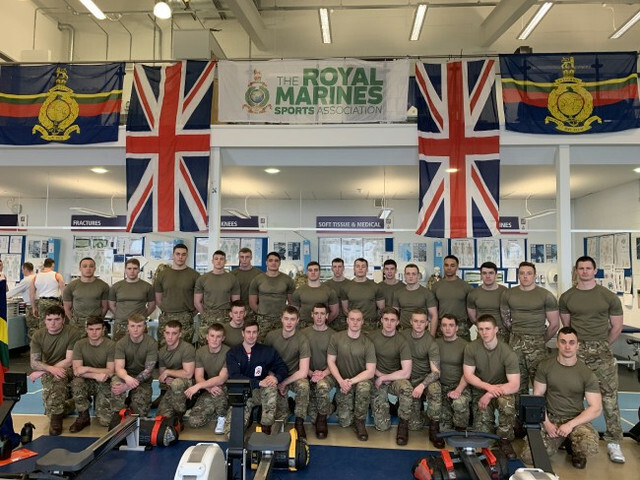 Recruits and serving Royals at Commando Training Centre have also got behind the row, holding their own row to help to raise further funds and awareness of Lee’s incredible efforts. Lee was born in Dagenham, lives in Devon, but made in the Royal Marines. Despite surviving 24 years as a Marine and three tours of Afghanistan, Lee lost his right leg when he stopped to help a motorist on the M3 in 2014. He was hit by flying debris as he made his way to the stricken vehicle and his right leg was severed in the impact. During this feat of physical and mental endurance, Lee has battled 40-foot waves in a seven-metre long ocean rowing boat. Suffering from sleep deprivation, extreme fatigue, sea-sickness, fear and solitude Lee will be out of helicopter range and totally unsupported on the water. Lee feels passionately about keeping wounded servicemen and women at the forefront of people’s minds alongside challenging the embedded preconceptions that impact all those with disabilities. The double Guinness World Record attempt will raise awareness and money for the Royal Marines Charity and the Endeavour Fund, which supports wounded, injured and sick Service Personnel and Veterans using sport and adventurous challenges as part of their recovery and rehabilitation.